Home Local Nashville Master Chef TV Show Casting in Nashville – TOMORROW!! Master Chef TV Show Casting in Nashville – TOMORROW!! NASHVILLE, TN — Master Chef, America’s most-watched cooking competition show, will be in town tomorrow for open call castings. If you know the difference between a pot vs a pan and a stove vs a microwave when it comes to cooking, then this audition is just for you. 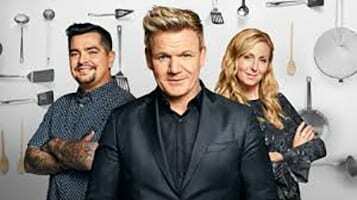 The Fox Network’s hit show is traveling across the country looking for men and women to compete in the upcoming Season 9, and a chance to be mentored by the ‘master chef’ himself, Chef Gordon Ramsay. Download the application on this site, which also has other KEY INFORMATION that’s required. Earlier this week, the Tennessee Tribune had the opportunity to chat with Master Chef casting producers Gina Salemi, Ryan Obermeier, and associate producer Ned Johnson, about the process of auditioning for the show. TRIBUNE: What are you casting producers looking for in a contestant? TRIBUNE: WHAT SHOULD CONTESTANTS EXPECT DURING THE AUDITION?